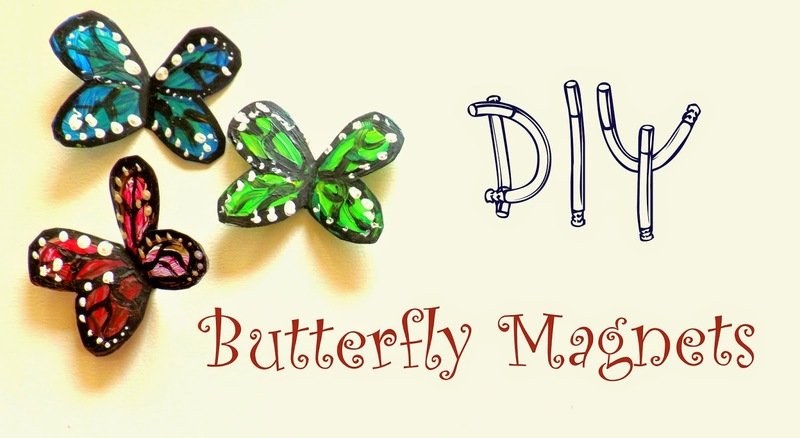 It's always nice to be in the company of butterflies -whether it's in a form of a jewellery ,a dress or a decor element- they remind us of how beautiful nature is and throw us into a fairy tail making us feel like Disney princesses. Having that in mind, you should definitely try this DIY. 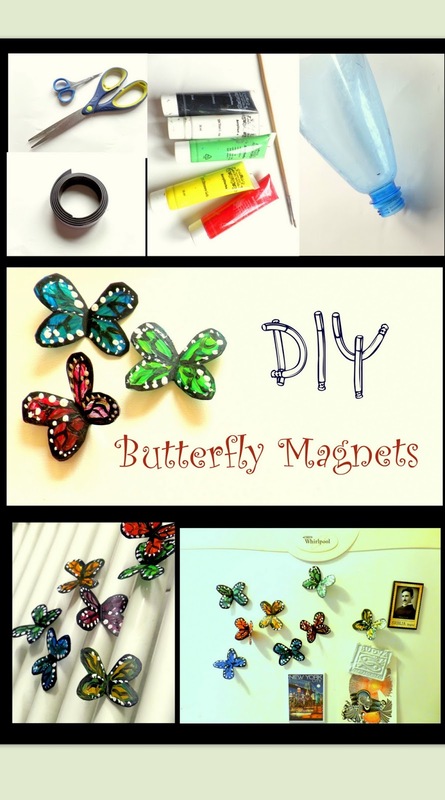 It's easy, fun, and the materials used are probably lying somewhere in your home. Trace a butterfly shape on a piece of paper and cut it out. You can also use a printed image. 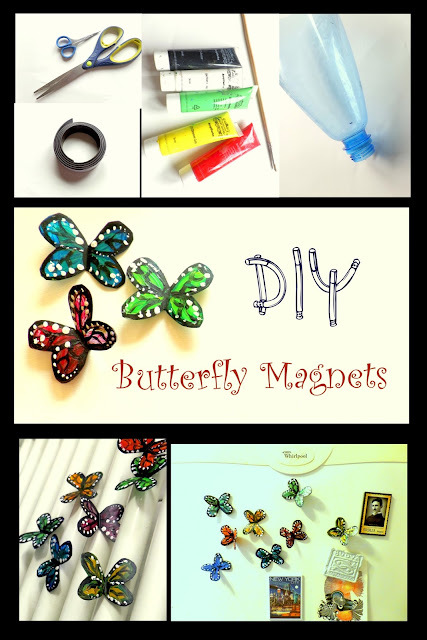 Fold the plastic butterflies in half to create a more realistic look. Paint them. I used 2 colors for each butterfly-the lighter one in the middle and the darker one on the edges. After that I created some details with black-and added some dots with white paint.